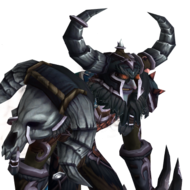 Skuty you should skip all that crap and do this instead: GARRISON START (lvl90): Capital City --> Portals --> Shadowmoon Valley or Frostfire Ridge --> Talk to Big Guy Sounds like you speak english and are playing Gul'Dan? Get into my guild man, find me or someone from Guardians to invite you. It's the best+only english guild worth your time on the server and has more information on how to be strong+good at the game than anywhere else in history of server <3 Hope to see you out there. Not all the valor quests work sadly, but many do. The one that says "Win 4 BGs" really means "Win 4 Rated Arenas" btw, so remember that one. Upgrading gear is fine on the server, it's just the simple fact that Valor is the rarest resource on the server (by far). Valor is only available once a month basically. There are a few different kinds of players in WoD Zittla and you have to decide which you want to be. The players that complain and get upset at what doesn't work, they don't last here very long. The players that find the ways the server is BETTER THAN RETAIL and "make their own fun" are the ones that stick around. Likely what you need is community around you. The questions you're asking get answered constantly in the guild "Guardians of Centarus" (largest active english guild). Garrison work orders are entirely functional. 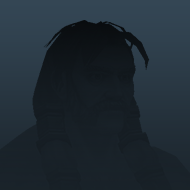 You are experiencing some form of bug. I recommend deleting your cache folder and ensuring your garrison is lvl3. But Work Orders function for me in every character. But based on how you phrased this, I think you're talking about g.missions. Those DO disappear if they're above 630ilvl. To remedy that, utilize the antiafk macro (carefully) and develop "Speed Followers" to reduce mission duration time. Find me in game, there's much to teach you. It's possible the dungeon just doesn't work. Not all of them are scripted. Also be sure to test your difficulty settings, sometimes only Normal or Heroic works and you have to figure out which is functional. Similarly, try and go in with a buddy - sometimes being a party fixes it. Title: Add Unobtainable Items to Shop or Vendor Type: In-game Description: SUGGESTION: Create a Vendor which will sell "unobtainable" items for gold or Honor/Conquest/Garrison Resources (whatever) UNOBTAINABLE ITEMS (in order of importance): Arcane Crystal Module (garrison AH) Treessassin's Guise (removes combat bug) Ever-Blooming Frond (epic heals) Oralius' Whispering Crystal (reusable Flask) Moroes' Famous Polish (fun naked toy) Gamon's Braid (toy) Void Totem (toy) Lilian's Warning Sign (toy) Manastorm's Duplicator There are DEFINITELY other items but this is a start. REASONING WHY NECESSARY / HELPFUL The infamous "Combat Bug" is annoying to players on an hourly basis, requiring relogging and waiting. There are in-game abilities like Hunter Feign Death (etc) but there are ALSO items like the "Treessassin's Guise" which would solve combat bug for any and all players. I imagine your GMs get pinged about combat bug and others quite often. Adding these items (and similar unobtainables) would reduce workload and improve player quality of life. I'm happy if this takes the form of an in-game vendor OR as a loyalty Firestorm Shop item. Just want the efficient solution to improve quality of life. UNLEASH ELEMENTS is minorly bugged here on FS and will attempt to hit whatever you're targeting. It should+will always hit yourself, so I've created a macro to have it do this. #showtooltip Unleash Elements /use [target=player] Unleash Elements (to ensure combat begins on strike) #showtooltip stormstrike /cast Stormstrike /startattack [harm] (show reincarnation CD) #showtooltip reincarnation (dismounts and stops casting before Ghost Wolf) #showtooltip Ghost Wolf /stopcasting /dismount [mounted] /use Ghost Wolf I'll continue to update this thread as I figure out more optimizations. Does anyone have a bead on how to progress the Ring quest to ilvl680 ring? Solid group of mine today beat Grimrail and Auch with nothing dropping from the bosses (rough). Both dungeons are pretty bugged and the bosses hit almost as hard as mythic difficulty... How can we progress the ring? Is there a thread I missed about this? I have the launcher yes. Is the download file not working today?